We sell Quest products like Natures Aid Ginkgo Biloba 6000mg dried leaf - 90 tablets online in the UK and directly from our award-winning store in Scotland. Where can you buy real Ginkgo Biloba 90 Tablets safely online? If you are wondering where you can buy Natures Aid Ginkgo Biloba 6000mg dried leaf - 90 tablets safely online in the UK, then shop with us. 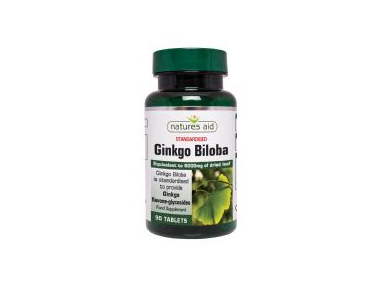 Ginkgo Biloba 90 Tablets - Natures Aid Ginkgo Biloba 6000mg dried leaf - 90 tablets in Heart & Circulation and Herbal Remedies, Tinctures & Supplements.